If you need a quick way to reach out to your customers, DFW Printers offers full color brochures and flyers that are an inexpensive but powerful means of promoting your business. For use as event adverts, take-out menus, catalogues and sales advertisements, our fliers and brochures have endless uses across the Dallas and Fort Worth areas. DFW Printing offers a wide variety of printing and folding options of choose from when placing your order. To receive a free sample of varying options, reach out via the contact form and outline your objectives - we’ll send you a free sample pack with the best options for you to consider by courier. If you already have your own design prepared, visit our file submission page, which contains a pre-check PDF with all required specifications. In general, we ideally suggest saving files as a PDF. Also suitable are the following formats: , jpg, jpeg, tif, tiff. Adobe Illustrator files are also acceptable – but only if the fonts are outlined. For customers needing help with a design, DFW Printing also maintains a staff of skilled graphic designers capable of producing made-to-order designs that meet all your expectations. 1. Stick to a functional design: make sure that the images and content are easy to read and easy to comprehend the gist of. While graphs and statistics may enhance the message of the piece, they might clutter the overall message that you are trying to convey. A confused consumer is a lost sale. 2. Strive for a compelling cover design: choosing the right cover image and text is like writing a thesis statement – the point is to grab attention and ‘pull them in’ to read the rest of the brochure. Strive for a design that makes an emotional connection, whether that be curiousity, annoyance, intrigue or excitement. Brochures and Flyers come in so many different sizes, paper stock and folds - but we can do pretty much any type of brochures and flyers to meet your needs. 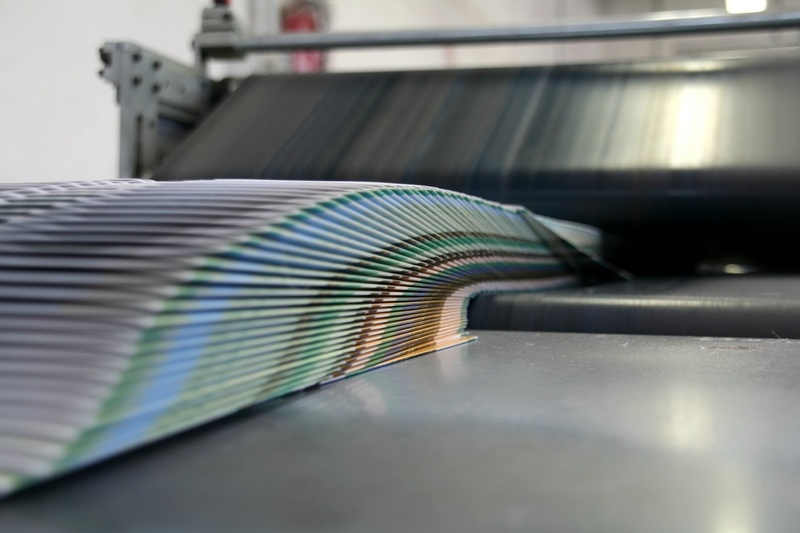 We guarantee high quality brochure printing and on-time delivery for you next event or product launch. Our printing experts here at DFW Printing help with layout, design, mailing and custom printing options. Of course, we offer free estimates and are happy to answer your questions regarding paper stock quality, quantity, folds and more. With DFW Printing, you can rest assured that you receive the personal customer service many other printer lack and that ensure a worry-free, 100% satisfaction of the final product. Give us a call today to discuss your printing needs! ​Need other print marketing materials? See all options here. ​Call us at 214-977-7458 or send us an email!